At the camp, the displaced persons are fed three square meals daily. Also, they have recreational facilities that keep them busy and excited while a medical team is on ground to ascertain the health status of the people and equally offer relevant medical assistance as might be needed. The Igando General Hospital is handling referrals from the camp. Similarly, government provided three buses to convey children to and from their schools while their parents were equally ferried daily to their respective offices. This has really helped in terms of helping them to reduce emotional and physical stress. The whole essence is to ensure that the effect of loss on the victims is mitigated to the barest minimum. Meanwhile, the camp is to be opened for three months, after which government would review the need for an extension. Historically, emergency management and preparedness has been a reactive science. In recent history, disaster awareness through the 24/7-news cycle has intensified the concept of emergency management integration into our daily lives. Through continued awareness and dedicated mitigation advancements, the effects of future disasters can be limited. In Lagos State, emergency management is a significant part of government’s overall strategy for achieving a smart city. The state has today invested heavily on emergency and disaster preparedness and response because its growing population is highly vulnerable to emergency situations like inferno, building collapse, road accident, floods, suicide and others. The consequences of disasters could be in term of loss of lives and properties and in the long term can include serious setbacks to the state development plans. Hence, plans are needed, not only for responding to the impacts of disaster, but also to maintain business continuity while managing the crisis, and to guide recovery and reconstruction effectively. To a large extent, a solid, well-planned emergency response system that routinely includes the educated participation of the community is the most important preparation for a disaster. 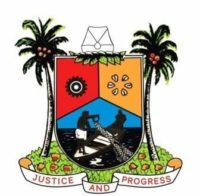 In Lagos, the State Emergency Management Agency, LASEMA, was established vide LASEMA Law 16 of 2008 for emergency and disaster management in the State in pursuance to decree 12 of 1999 as amended by Act No. 50 of 1999 which established the National Emergency Management Agency (NEMA). The Agency is statutorily empowered to respond to Fire fighting (co-ordinate with fire services), flood control, collapsed building, evacuation, search and rescue operations, environmental pollution, crowd control/cordon off affected areas, Public enlightenment on safety issues, perform general life saving activities including provision of relief materials and to clear and remove objects that constitute the carcass or remains of incidents. Today, due to continuous funding and proper management, the Agency has grown in leaps and bound. Unarguably, Lagos has been exceptional in term of investment and achievements in emergency responses and this claim are evidence-based. LASEMA is now optimally responding to the challenges of disaster management with improved emergency preparedness and responses. When people get trapped in vehicles during accidents and emergency responders are on ground at the emergency scene, the absence of equipment that would enable them to break into the affected vehicle to rescue the victims usually renders the whole rescue operation meaningless. Without a doubt, it is safe to affirm that Lagos State is poised to take emergency management to new heights. It must, however, be stressed that the citizenry need to embrace safety culture and practice in its entire ramification. This way, the rate of man-made emergency occurrences would be extremely reduced.